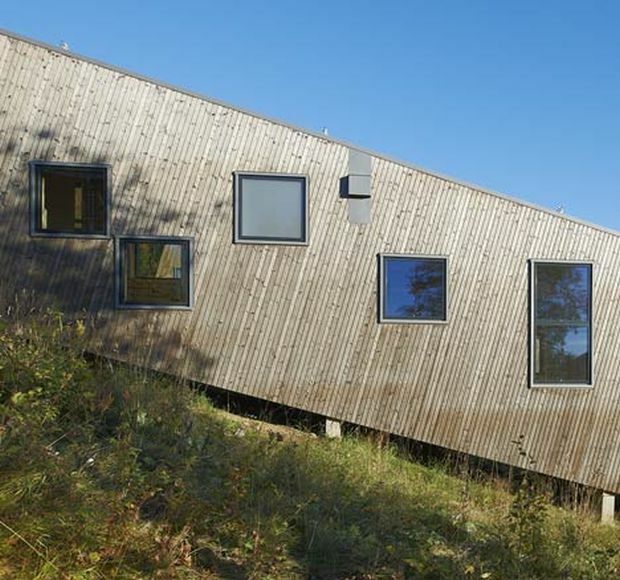 These timber cottages on a sloping landscape look odd at first glance, but then splendid and majestic when you look closer. The architects wanted to create these masterpieces in accordance with level of the land. And not to worry, the floor inside is perfectly level and does not follow the sliding design of the exterior. 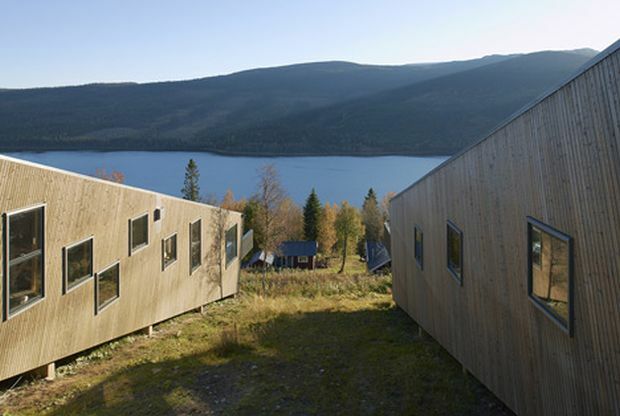 These glorious cabins are located in Jämtland in central Sweden, and were designed by well known architects Waldemarson Berglund. They’re comprised of a stylish staircase and sophisticated furnishings. The color scheme used is mostly white with shades of natural wood. Take a look at these photos and then tell us what you think on our Facebook Page! 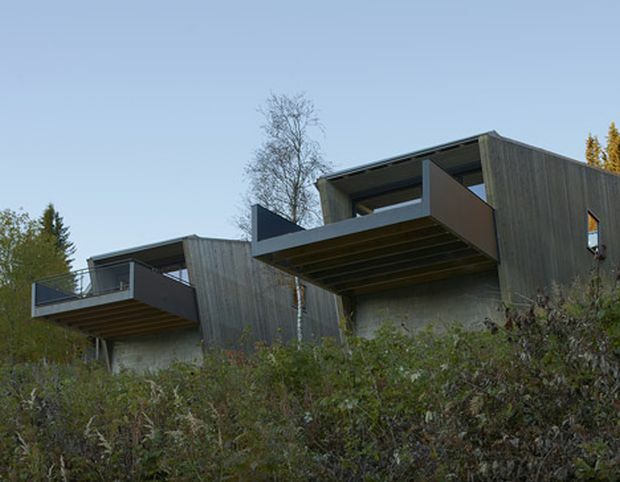 Swedish architects Waldemarson Berglund were inspired by the slopes of a nearby ski resort to create these three slanted timber cabins in north Sweden. 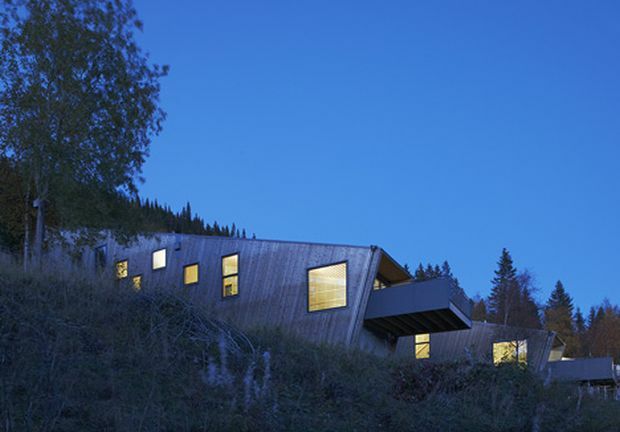 Although they look like they’ve been tipped upwards by accident, the three Åre Solbringen residences were actually designed to follow the slopes of their hillside site and have level floors inside. Staircases spanning the length of each building link the five tiered floors inside, connecting bedrooms, a bathroom and a sauna on the upper storeys with a kitchen, living room and outdoor terrace on the levels below. 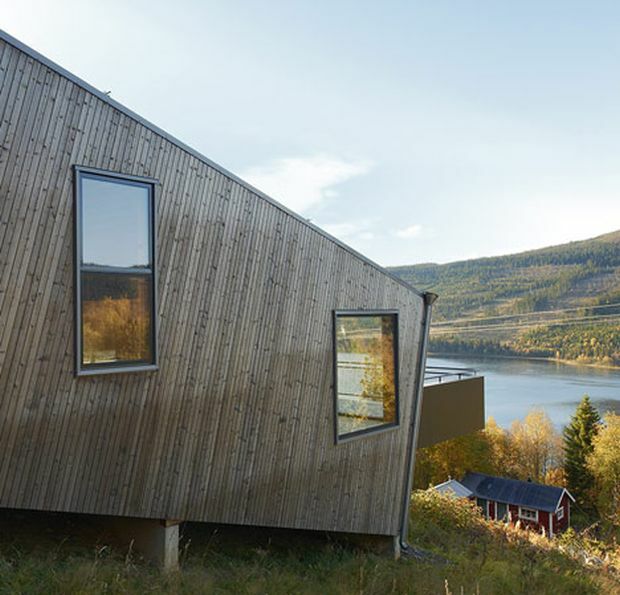 The property is located just outside Åre’s centre, in Åreskutan south-facing slope, overlooking the river and the mountains. The half-buried level is partly windowless, and the upper level is limited by its low, sloping ceilings. Being the slope one of the conditions for skiing it was tempting to let the buildings doing so. Or at least to let them give that impression. Height difference between the highest and lowest points is 31 stairs, as in any other 1 ½ storey house with two stair cases. 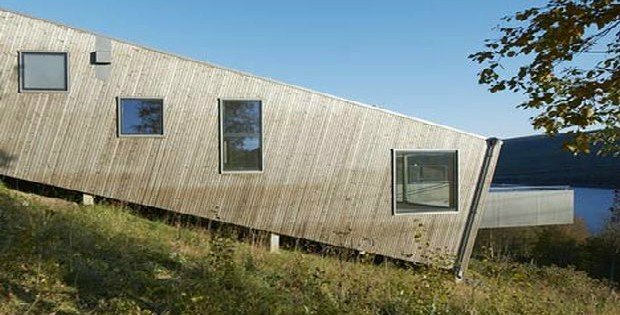 The house is completely built in a wooden frame system. Due to the limited width of the house it was possible to use standard pieces everywhere but in the floor slabs, built in glued laminated timber. ….CONTINUE TO PAGE 2 FOR INTERIOR PHOTOS….